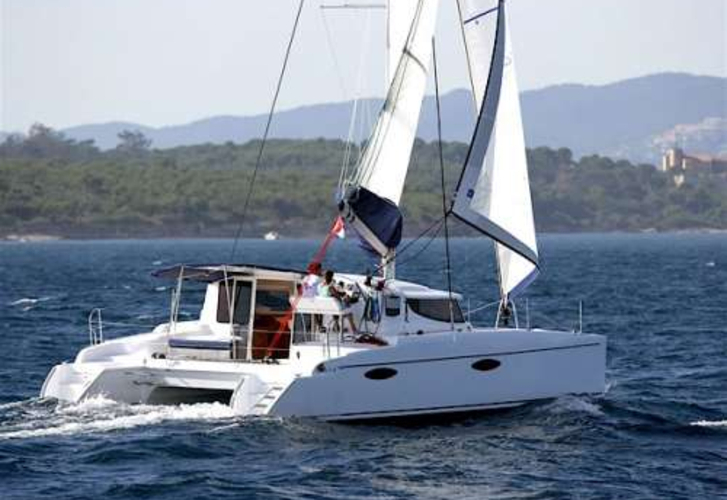 Sailing boat Mahe 36 named Gecko IV has been produced in 2013. Gecko IV is certified for 6 crew members. Layout of the sailboat is 6. 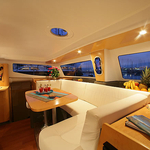 Mahe 36 Gecko IV has 3 cabins. For guests disposal there are 1 WC with showers. You can fill the diesel tank with 210 L liters and in tank for water it goes even 265 L l. With motor 29 hp Gecko IV can sail really fast. Gecko IV is 11.97 meters long and 5.90 m wide. Draft is 1.10 m. Caution is at the level of 5000.00 EUR. 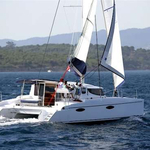 Choose our offer and have good time on the deck of Gecko IV.